The fascinating lives of the characters in Almost Famous Women have mostly been forgotten, but their stories are burning to be told. 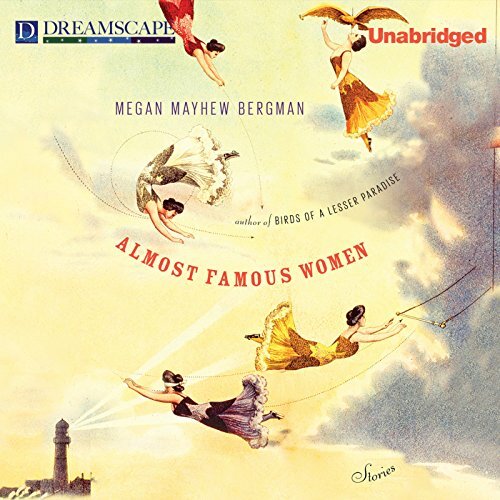 Nearly every story in this dazzling collection is based on a woman who attained some celebrity - she raced speed boats or was a conjoined twin in show business; a reclusive painter of renown; a member of the first all-female, integrated swing band. We see Lord Byron's illegitimate daughter, Allegra; Oscar Wilde's troubled niece, Dolly; West with the Night author Beryl Markham; Edna St. Vincent Millay's sister, Norma. These extraordinary stories travel the world, explore the past (and delve into the future), and portray fiercely independent women defined by their acts of bravery, creative impulses, and sometimes reckless decisions. This book is so depressing that, even though I'm was a literature grad student, I will never listen to it again. Death, disease, infirmity, sadness, senility....if this pleases the reader, I would recommend the collection of stories. The authors have terrific reputations, but I ended up depressed and dreary. What does Lesa Lockford bring to the story that you wouldn’t experience if you just read the book? Ms. Lockford reads the stories with as much life and energy as a good narrator could..but the stories are miserable....Her voice does give the difference in inflection and pitch so that the characters are differentiated. I'm sure that she had difficulty making her voice cheerful in the midst of death and misery. I suppose the stories have literary merit, but I don't listen to books to analyze the authors use of plot, character, setting, and theme..which is what college students do with texts. I don't require that the books I purchase from Audible be all sweetness and light, but this was ridiculous. If you're borderline depressed, avoid this book at all costs. The stories all seemed like they could have been interesting, but definitely didn't draw you in. Had a hard time staying interested. Also on the audio version there wasn't a clear transition between stories. Confusing. Good book. Terrible as read here. The book's format does not lend itself to audio format. There are no breaks between chapters to indicate a change in narrative. The readers voice makes the characters sound terrible. Read the book, just not in audio. I was riveted. I hated to leave every chapter of this book because the characters were so interesting, and yet I couldn't wait to learn about the next one. And the story-craft and writing are terrific. This is a book I will recommend, give as a gift, and read over and over.